Discover newly revealed secrets, hidden for a century, about the fascinating origins of the most widely used tarot system in the world. 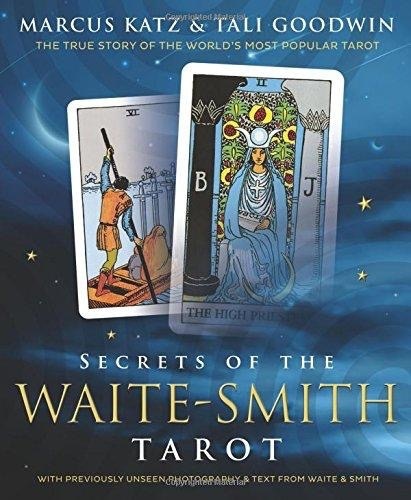 With never-before-seen material from Arthur Edward Waite’s own secret order, an exploration of the world that inspired Pamela Colman Smith, and a practical guide to interpreting the cards, Secrets of the Waite-Smith Tarot will breathe new life into your readings. 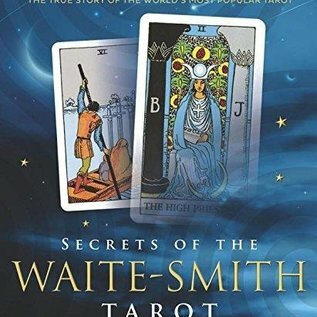 Drawing on Waite’s unpublished writings, historic photographs of Smith, and much more, Secrets of the Waite-Smith Tarot unlocks the symbols and correspondences of the cards. Explore the comparisons between the court cards and the stage characters that influenced Smith; learn about her intuitive understanding of the Tree of Life and how that wisdom is reflected in her minor arcana. From stunning artwork and sample spreads to influential colors and music, this groundbreaking book draws back the curtain to reveal the true legacies of Waite and Smith.